I wanted to make something easy, but yummy, to usher in the new year and remembered Trisha Yearwood's "Mama'a Sweet and Saltines" recipe from last year. I planned on using graham crackers instead of saltines, but when I went to my pantry there were no graham crackers to be found:( I peeked in further and spotted some Biscoff cookies:) They would be a perfect substitute, maybe even better! What could be better!?! Biscoff cookies covered in a melted butter~brown sugar mixture(toffee-like), and a generous layer of melted choclate to top it off. Sprinkle with a colorful dose of confetti sprikles and you're ready to ring in the new year! multi-colored confetti sprinkles 1. Preheat oven to 425F. Line a large rimmed cookie sheet with aluminum foil and the cookies (I sectioned off half of a large jelly roll pan to accomodate only one pkg. of cookies). 2. In a medium saucepan, melt butter and brown sugar together and bring to a boil. Boil for 5 minutes. Remove from heat and pour over cookies, covering them evenly. Put cookie sheet into oven and watch closely. Bake for about 5 minutes, or until just bubbly. 3. Remove from oven and pour chocolate chips over cookies. When chips begin to melt, spread them over ccookies with a knife. Transfer pan to freezer for 15 to 20 minutes, or until completely cold. The chocolate-covered cookies will form a solid sheet; break into pieces and store in an airtight container. This is the second time this week I've see biscoff biscuits....but what the heck are they?? I've never seen them before! Hard to believe there is a cookie out there I haven't tried! I think I need to run to the store. 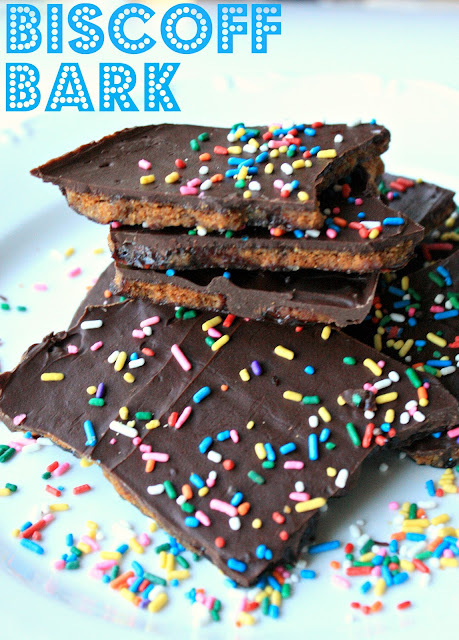 This is a delicious looking bark! If Trisha Yearwood saw it she just may decide that it's just as good (if not better) that Mama's Sweet and Saltines! oh GOSH this looks so good. Makes me think of the oh so yummy biscoff cookie from delta airlines that everyone just loses their mind over when flying....do you want a cookie or pretzels...Seriously, do you have to even ask..COOKIE! Happy New YEar to you, Sue, you have been such a huge source of smiles here at my house if you only knew! These look amazing! I already love the Sweet and Saltines bark, so if this is anything similar ill probably love it. What an awesome idea! I'm drooling thinking about the taste. Pinning! Happy New Year, Sue! Best wishes for you in 2012 and many years to come! These are great chocolatey cookes to kick start the year, thanks! Wow. Awesome bark idea. Thanks! Whooo-eee, those sound wonderful, Sue! I have had the saltine version, but using grahams or biscoffs sounds like a whole new level of deliciousness. Hope you had a great New Years!! 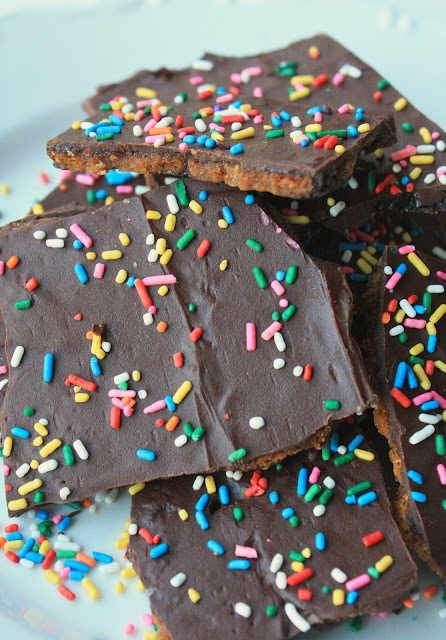 OMG...with the Biscoff craze all over the blogosphere, these are definitely rock stars! 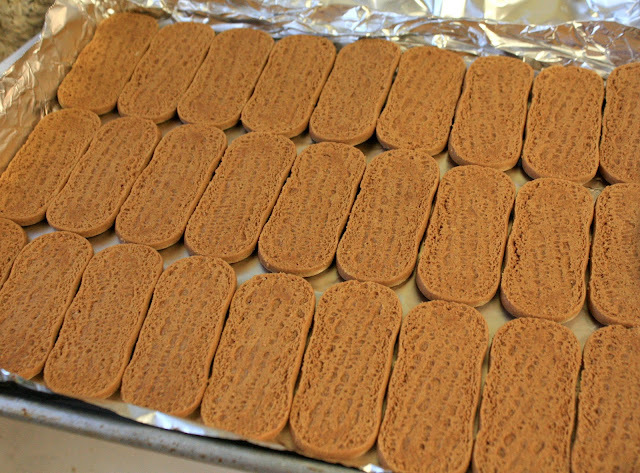 SO clever to use Biscoff in lieu of graham crackers or saltines! I wish I could try some now! What a GREAT idea Sue!!! Loving this! Sue, I wish you and yours a joyous and blessed 2021! Need, want and have to have this bark. Ooh, this looks so yummy! ^^ I need to try this soon! Those look awesome. I have never had Biscoff cookies. It seems I might be missing out! This does look delicious! It just so happens I have just discovered these lovely biscoff cookies too. Can't wait to try this. they don't sell it I would have to order online. Wow, just wow. I must make this now!!! !